With the many choices available nowadays for playing online poker in New Zealand, there can be some confusion regarding the best sites in the market. This actually gets a bit worse when it comes to Pacific Poker since there are some misunderstandings regarding the famed card room. The following Pacific Poker review aims to make everything clear and give players the information they want and need to join the ideal site right from the very first try. To start, Pacific Poker has been online since 1997 and it is now owned by Cassava Enterprises Ltd, the same company behind 888 Poker. This is important to keep in mind because Pacific Poker has the same player pool and platform as 888 Poker so it has the software of an industry leader while still keeping its unique style. This also means that it has huge traffic and great promotional offers that go a very long way towards keeping the action loose and competition soft. Pacific Poker has the ultimate online poker software developed under the 888 Holdings brand. This doesn’t just come with great graphics to make each hand look good but also has plenty of options to change some of the visuals and features on the poker room to really make it your own experience. The proprietary software for the network is constantly being improved and it has some functions that are hard to come by at other sites. It works by download for the full version but also comes as an instant play option from the website. With the software really impressing, the games have plenty of room to shine and they don’t disappoint. Texas Hold'em continues to be the most popular poker variant in New Zealand and this is seen at Pacific Poker very often. There are also plenty of other games to enjoy and all of the options can be easily filtered in the lobby to find exactly what you are looking for at all times. 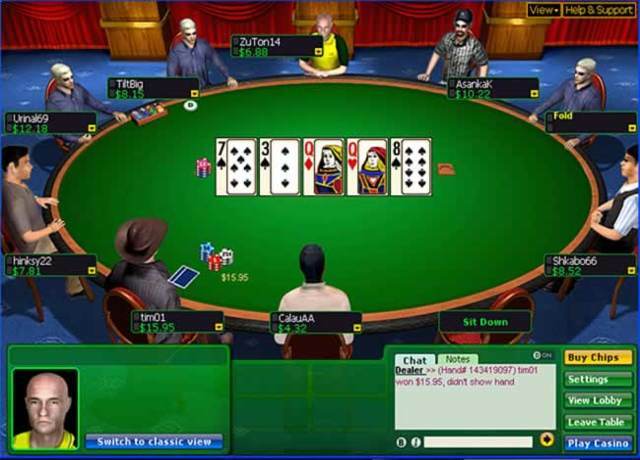 Webcam poker allows players to show themselves via webcam while at the table and also see the opponents for a more realistic poker experience streamed directly to your computer. Multi-tabling while it can be very hard to play at several tables in a land-based casino, Pacific Poker makes it simple with resizable tables and custom notifications. Guides for beginners if you are new to poker, you can learn the basics and even some advanced strategies before hitting the tables for real money. Notes and tracking there is a wide array of options for taking notes on your opponents to make better decisions in the future. Full poker academy There is a great online poker academy at Bet365 that allows players to learn and sharpen their skills in an interactive manner. Fast-fold poker Pacific Poker has fast folding versions of Texas Hold'em and Omaha to eliminate any downtime while playing. With the big poker variants covered, Pacific Poker has something for every NZ player and the range of stakes is very impressive. Micro bets are always great for casual players but the tables are not limited to just blinds worth a couple of cents and can go up to exceed $25/$50. However, Pacific Poker doesn’t have high stakes cash games anymore and removed the options in order to discourage sharks from joining the site. In addition to cash games, the site has a full range of tournaments that includes freerolls and guarantees with massive prize pools. Satellites for the main events can allow users to earn entries for much smaller buy-ins and Sit & Go events start very quickly at all hours. We also mentioned that Pacific Poker has access to the iconic fast-fold game known as Snap Poker on the network. 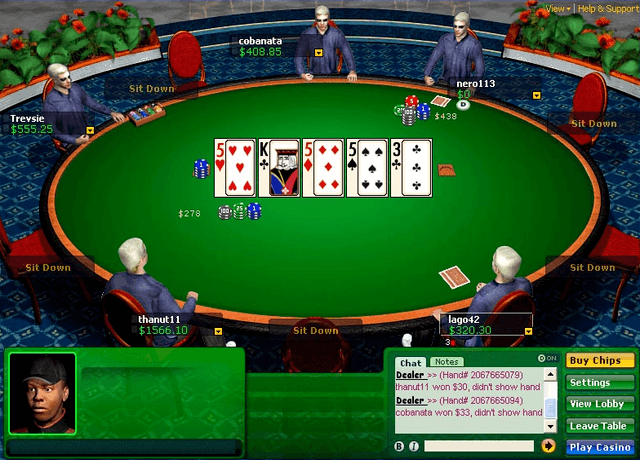 This is played with a pool of players and will give each user a new hand as soon as the fold button is pressed. No waiting around is needed at the table for the action to conclude if you are not part of it. Compatibility is as good as you would expect from a top online poker room in New Zealand. The 888 software really gets the chance to show what it can do on the move through the downloadable applications for Android and for iOS. It also comes in an instant version to skip the installing part and jump right to the action. Mobile Pacific Poker can be done with real money and practice coins for cash games, sit and go tournaments and scheduled tournaments. Even if not all of the gaming options are available on smartphones and tablets, the available games are more than enough to keep players engaged while paying close attention to the screen. 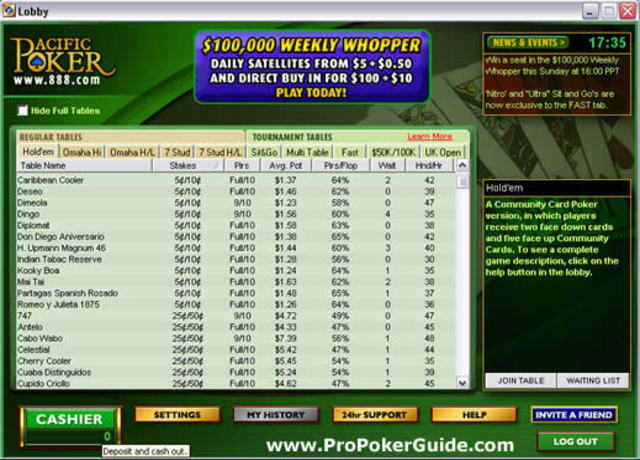 The full poker experience that Pacific has to offer is available on Mac and PC by downloading the software. These devices come with big screens that allow the tables to show off the realistic graphics and the hardware to run all the special features found on the network. All of these devices can be used to play at Pacific Poker today. There aren’t many online poker rooms that get more traffic than Pacific Poker does through the 888 platform. In fact, there is only one site that has more players and this puts Pacific in a great position with a lot of customers and soft competition; something which is very hard to come by nowadays. More than 10 million players have already signed up and the community just keeps growing. For the actual numbers, the poker site averages around 2,000 cash players a day, hundreds of play money users and a great deal of customers engaged in tournaments. Thousands of players are online at any time and this means that NZ users will be able to always find tables for betting. Despite its many perks, Pacific Poker manages to have a mostly casual player pool and while there are some experienced players to be found, most of the users are not very skilled. All customers will be able to access the large Help section where most of the topics are covered. Answered questions can really help clear any confusion and there is also the option to send an email to the support team through the service that is never closed. The form is also available on the installed software. While Pacific Poker changes its welcome bonuses at times, the current offer has been running for quite some time and it has become stable. As a new player from New Zealand you can get $88 for free without even having to make a deposit first. When it comes time to make a payment, Pacific Poker will match it 100% for up to $400 for free. The welcome package also includes several entries to special tournaments. The loyalty program in place on the Pacific Poker network is a bit complicated but the short presentation is that it offers rewards for players based on how much rake they pay when at the cash tables and the fees taken when entering tournaments. Points are generated in the process and these are used to climb up the many levels and receive gold tokens which can be used as a currency in the online store with prizes. Other benefits include free tournaments, scratch cards and more as you level up. The network has some of the biggest guaranteed tournaments players can ask for and these have prize pools worth more than $100,000. Buy-ins also get fairly high but the site has plenty of qualifiers running throughout the week for the big events being held on Sunday. Pacific Poker is clearly still one of the best online poker rooms available in the world and it really benefits from the huge network and the many players that enjoy betting here. With a nice welcome bonus, special promotions and guaranteed tournaments for all types of customers, the poker site really has everything needed for a good time. And to make it even better, mobile gaming is easily accessible on iPhone, Android and other smartphones. Join now and get $88 free + 100% up to $400 at Pacific poker! 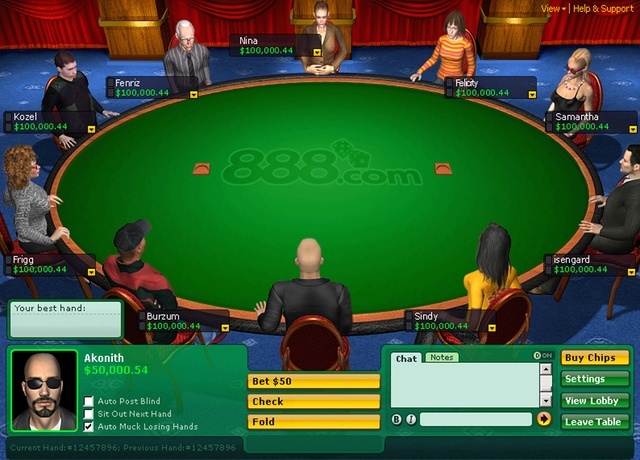 Pacific Poker has been a trusted name for online poker for decades and while it was rebranded, the website remains active and it is connected to the huge 888 network. It is being operated by the big Cassava Enterprises and is licensed in Gibraltar with full certifications. Pacific Poker mostly focuses on the big poker variations and Texas Hold'em is easily leading the charge. Omaha and 7 Card Stud are included in the lobby and there are plenty of tables for these versions running at all times. Also, a nice addition is the fast-fold poker variant provided. Although Pacific Poker comes with the option to just play from the website, it is strongly recommended to download the software and install it. This will make for a more stable connection and it even looks better. The mobile poker room is very good and has plenty of options for cash games and tournaments at the touch of a finger. It is even possible to have multiple tables open on your smartphone or tablet. Pacific Poker provides 888 Holdings software for mobile by instant play and native apps for Android and iOS. Can I play in NZ Dollars? No. Pacific Poker does not use NZ Dollars as a playing currency at this time and players can only choose between USD, EUR and GBP. Payouts from the reputable online poker room are very fast but they start with a pending period where the request is held for 24 hours. After this is done, some withdrawal methods can complete the transactions right away, like PayPal and Skrill, and other options can take up to a few extra days, like Visa, MasterCard and bank transfers. Yes, the Pacific Poker network has some of the biggest online poker tournaments in the world and they attract big fields. It is not just about the size of the prize pools since some events can be freerolls or aimed at the lower stakes and still get plenty of action from the community.